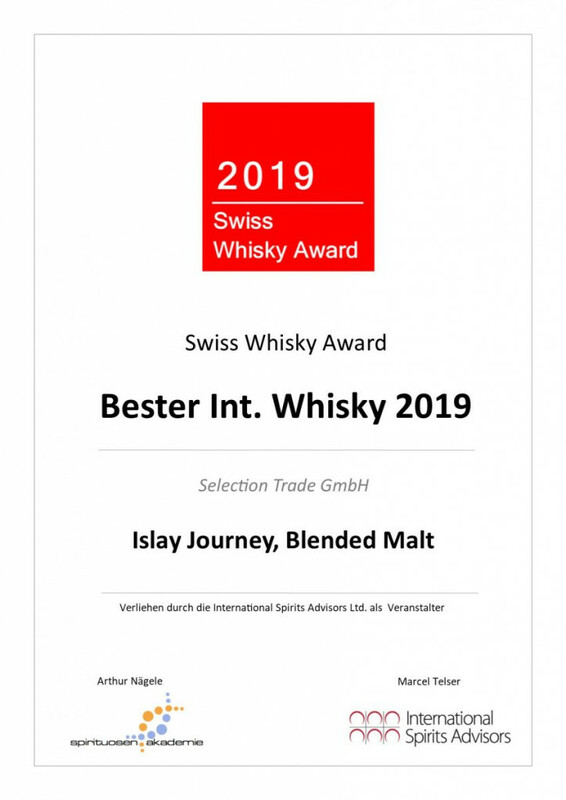 During Whiskyshiff in Lucerne, last weekend, it was a great delight to have received the Best International Whisky Award at the Swiss Whisky Awards. The whisky receiving the award was the newly released Islay Journey. A blended Islay malt, portraying redolent aromas of smoke, tar and ash, whilst in the mouth there are pungent notes of peat, brine and seaweed.